At Tenn And Tenn, our experienced New Hampshire Criminal lawyers understand that a good defense strategy, a thorough examination of the facts, and an intimate knowledge of the law is the best way to obtain success. We prepare each and every matter for trial. With more than 20 years’ defense experience, our understanding of criminal law runs deep. Although DUIs are some of the most common criminal charges we handle, our attorneys also defend against a myriad of other criminal charges. We handle a wide spectrum of criminal defense matters including drug possession, simple assault, transporting alcohol, conduct after an accident, and reckless driving, among other charges. 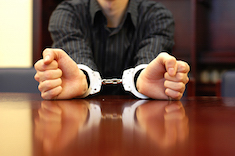 If you are facing a violation or misdemeanor offense, let us protect your rights. A good defense strategy increases the chances of receiving a lesser charge, a favorable plea deal, or an outright dismissal of your case. From their offices in the heart of downtown Manchester, the tenacious criminal defense lawyers at Tenn And Tenn, P.A. have protected the rights of people facing prosecution for over 20 years. We handle a variety of criminal defense matters, including DWI, drug possession and transportation, simple assault, disorderly conduct, resisting arrest, reckless driving, criminal trespass, and other charges. Contact us immediately if you have been arrested or are facing charges so that we can protect your rights. In all criminal cases, the state has the burden to prove each element of the alleged offense beyond a reasonable doubt. Defending your case may require presenting proof in rebuttal, as well as moving to exclude evidence offered by the prosecution. In many cases, drugs and other items obtained as the result of an improper search and seizure, or discovered due to other violations of due process rights, may be suppressed by the court. Drug possession laws and the penalties resulting from a conviction may vary according to the classification of the substance, the amount, and the intent of the individual in possession of the drug. While possession of marijuana is a class A misdemeanor with a maximum penalty of a $2,000 fine and one year in jail, possession of other controlled drugs may be a felony charge punishable by up to seven years in prison and fines up to $25,000. The criminal charge and ensuing penalties are more serious for subsequent possession offenses or intent to sell. A charge for the transportation of drugs may result in a misdemeanor conviction if the state proves that the individual knew of the drug’s presence and status as a controlled substance, had control of the drug, and knowingly transported it. Criminal charges for DUI and other offenses may result in harsh consequences if you are convicted of the offense, including hefty fines, community service, mandatory participation in treatment and education programs, license suspension and revocation, and even jail time. Don’t let a DWI arrest turn into a conviction. A successful legal defense may lead to a lesser charge, favorable plea agreement, or acquittal or dismissal of the charges. If you have been charged with a criminal violation or misdemeanor offense, let us help protect your rights. A criminal conviction on your record can result in lasting and unfortunate consequences throughout your life. This is why it is important to understand your legal options and prepare a defense strategy before you are convicted. If you have been charged with a misdemeanor, violation, or other offense in the New Hampshire area, the criminal defense and DUI attorneys at Tenn And Tenn can help. Make an appointment for a free consultation by calling us toll-free at (888) 511-1010, locally at (603) 624- 3700, or completing our online form. Whether you have been charged with a DWI/DUI or another crime, the New Hampshire criminal defense lawyers at Tenn And Tenn are here to protect your Constitutional and legal rights. Call (603) 624-3700 or fill out our online contact form to schedule a consultation with an attorney from Tenn And Tenn, P.A. Let us help you get your life back on track and put your arrest behind you. After Hospital Trip, Police Search Home and Find Drugs New Hampshire criminal defense attorneys at Tenn And Tenn, P.A. delve into how police conducted a house search in an ongoing case of drug possession. Being arrested for a crime is a scary and frightening process. My son has learned a tremendous lesson and with the help of Attorney Tenn he did not end up with a criminal record, nor any significant license loss. We are very grateful for all their hard work and wonderful representation. Bonnie A.